Although we're a little into January, I thought it was time to reflect on the past year and set myself some goals for this upcoming one. 2012: I envision as a year of productivity and hard work. I will be finishing my final year at university and will finally have a degree ready to enter the world with. Big changes are ahead and I hope to share it with the people I care about and continue to have them all in my life. All in all, I'm quite excited and slightly nervous for what is yet to come! Here is some artwork that I've been creating for the past half hour, photoshop is so much fun to play with! 1. To continue eating healthy and exercising, I need to get more of a routine and to stop snacking on chocolates and lollies, (well at least not as often). 2. Study harder with more structure and to improve my GPA (Grade Point Average). 4. Spend more time sharing blissful moments with friends and forget my worries. 6. Improve my fashion design portfolio and spend more time sewing and remembering how happy it used to make me. 7. Spend more time cooking delicious meals for mum and myself. 8. Spend more time taking in the scenery and breathing in fresh air. 9. Drink more coffee instead of energy drinks to keep me awake on those long studious nights. These are great resolutions for the New Year and I hope 2012 is amazing for you! Thank you! <3 I will follow u to! Great resolutions ! I have kind of the same too, I have to stop worrying and enjoying every moments ! I have to concentrate on my sewing too and work hearder ! great resolutions! Yeah, totally.. live in the moment! 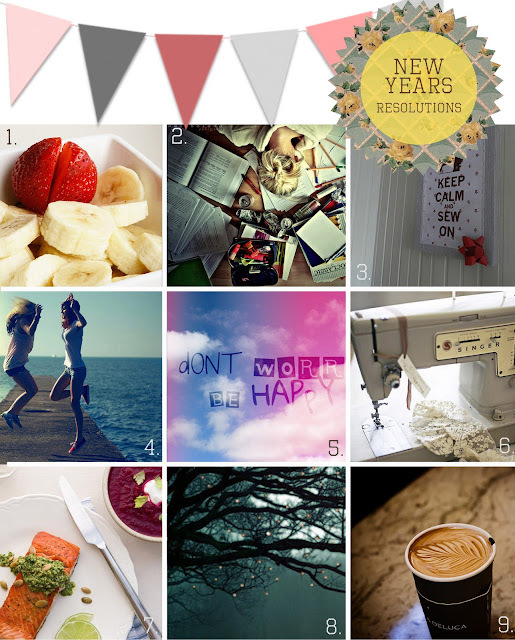 Your blog is really nice and those resolutions are great. Mine are quite similar as a student :) love them!